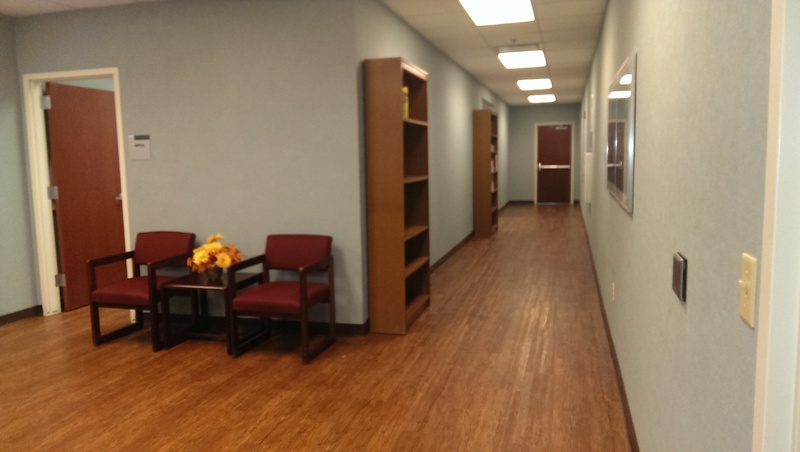 In meeting with Lakeside Nephrology they wanted to change the flooring in their space to create a more “home-like” feel and bring it some visual interest. We initially looked at carpet as an option. It was unfortunately too costly for the space and would have been more maintenance in regards to spills or accidents. In researching other options we found a gorgeous LVT (Luxury Vinyl Tile). It was installed in planks which added a lot of visual movement to the space. It cleans up easily and has a rough texture which makes it less susceptible to falls when wet. 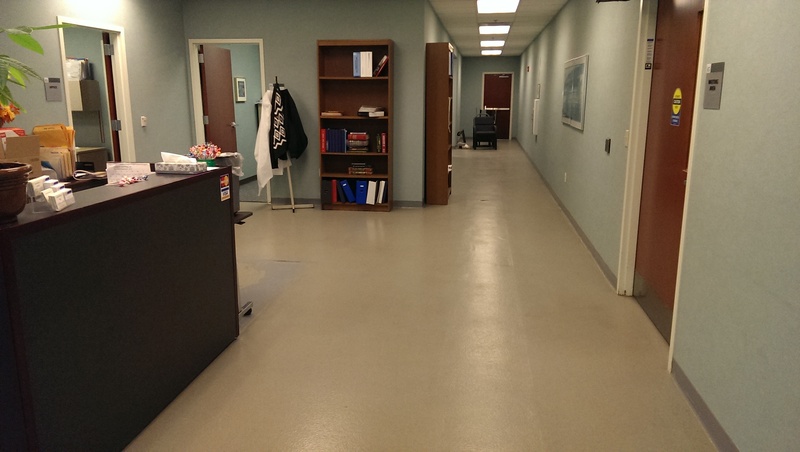 Moreover, it hides floor imperfections far better than the rolled vinyl product that was installed before. 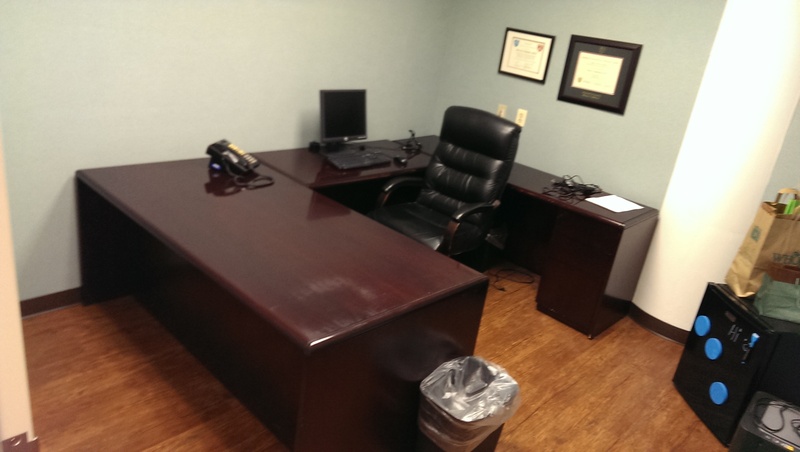 Overall, it greatly enhanced the space and the customer loves their new office….now onto a new reception desk.